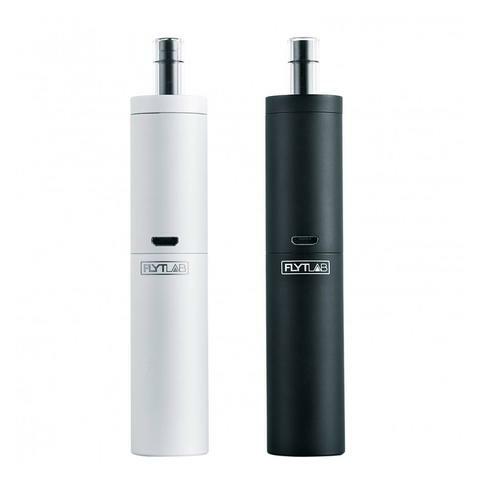 The Lift is the latest addition from FlytLab and if you are one of those people who needs an ultra-compact, stylish, high-performance premium vaporizer then you have just found exactly what you have been searching for. The Lift is the latest addition from FlytLab and if you are one of those people who needs an ultra-compact, stylish, high-performance premium vaporizer then you have just found exactly what you have been searching for. The FlytLab Lift vaporizer is without a doubt one of the coolest and best functioning herbal vape pens we have seen this year and several of us here at SmokeRigs Vapes now use them as our daily vapes and take them pretty much everywhere we go. Whats in the FlytLab Lift box? The main body of the vape is constructed from tough but lightweight aluminum which easily stands up to the knocks and bumps of daily use but also feels incredibly tactile and well built in the hand. The size of the device is pretty much perfect, there is enough size for decent function and battery capacity but it still disappears into the palm of your hand when you are using it. At just under 4 inches long (with mouthpiece recessed) and slightly less than 1 inch wide it will also easily fit into just about any pocket or purse. The oven is frankly massive for a vape of this type and size. With the huge width and depth of the oven, you can load up to 0.6 grams of material in one go so that you can get a huge hit off each session if that is what you want to go for. It uses conduction heating and the surface material fully ceramic to guarantee that you get an amazing combination of huge vapor and intense flavor that will always leave you wanting another session. The mouthpiece has been designed to be able to be recessed into the oven when not in use and held in place during use by a magnet. This has the benefit of keeping the glass part tucked out of harms way inside the oven when not in use and then the big benefit of being able to give it a quick press down during use to re-pack your herbs. 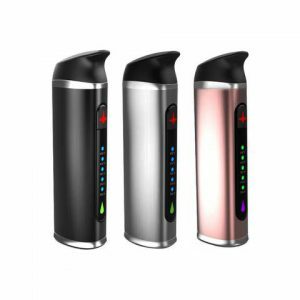 Re-packing your herbs is something that is a very important with conduction vapes and the fact that you can now do this without even opening the device is a massive step forward for conduction type vapes.